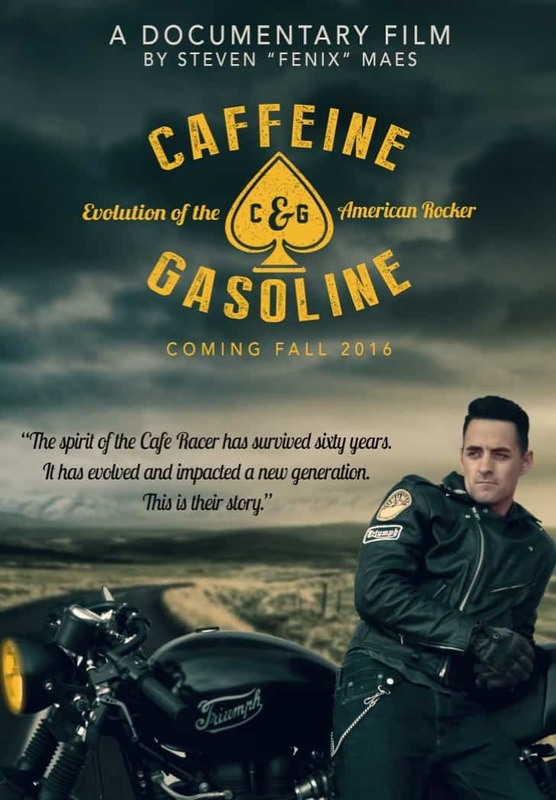 Need YOUR help get funding for New Movie " Caffeine and Gasoline"
Ok people, when I see something I think is good, I let people know about it- When I see something that I Know is going to be Great- then I jump on my website and try and tell the world about it. 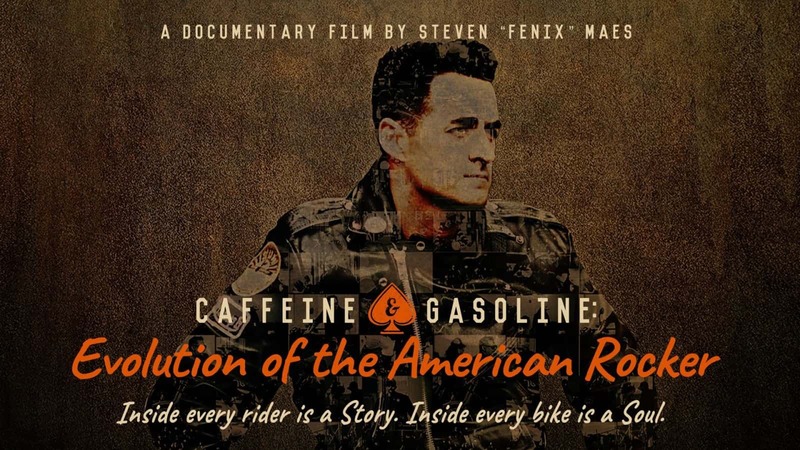 On Thursday I had the opportunity of hosting Steve Maes at my Motorcycle shop for his filming his newest project “Caffeine & Gasoline” Evolution of the American Rocker. 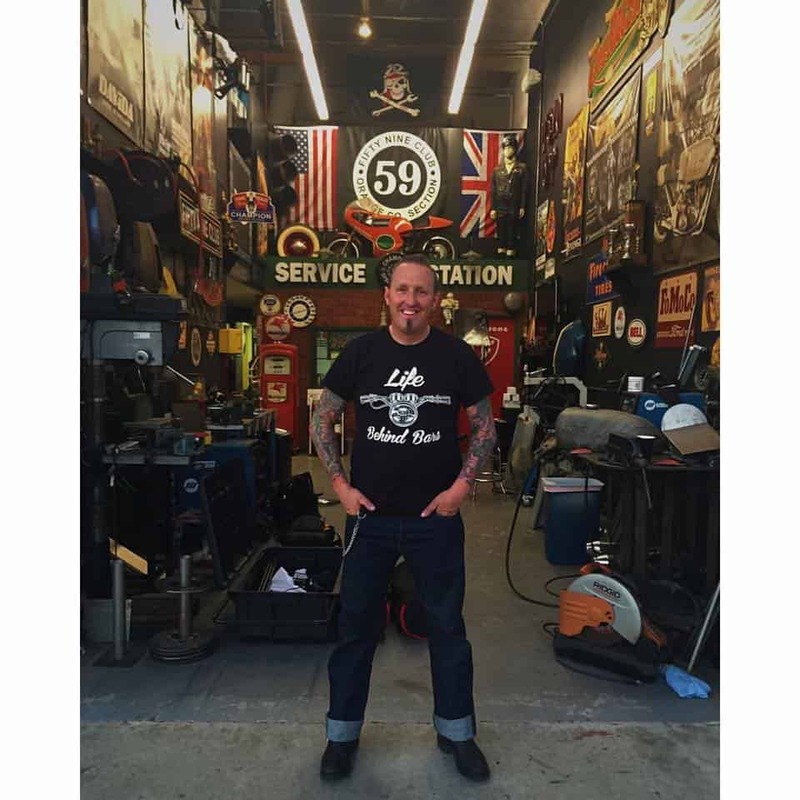 Many of you know the passion I have for my Motherlands birth of the Cafe Racer, and many of you have taken an interest in the History of the Cafe bars of the day in Great Britain back in the Late 1950’s and early 60’s. Britain’s very own Coffee Cowboy evolved from Transport Cafeterias of the day and now some 55 years later, there is a huge interest in that era in the United States of America and somebody needs to engrain this on the silver screen to let the rest of the world know how a half century old lifestyle has had a massive resurgence and become a huge part of the Motorcycle fraternity. There has not been a good ,documented film about this “Sub Culture” in the US like this, and now that Steven Maes has taken it upon his self to sit on a saddle, go out to like minded Ton Uppers and record what they have to say about this Lifestyle, well, I just want to help out the best I can. If ever there has been a time to help out- now is the time. I give to charities all the time and as the Rocker who runs the 59 Club O.C. section, we are a charity event and like to help where ever we can, I am not saying this is a charity cause but what it is to me and to many others is a personal encyclopedia of informative people over the United States who love the “Cafe Racer” style. So, I am asking you to spare a little change and help Steve be able to make this project a total reality, and get this funding up and running fast, so that we can see this on the one eyed monster as soon as we can. 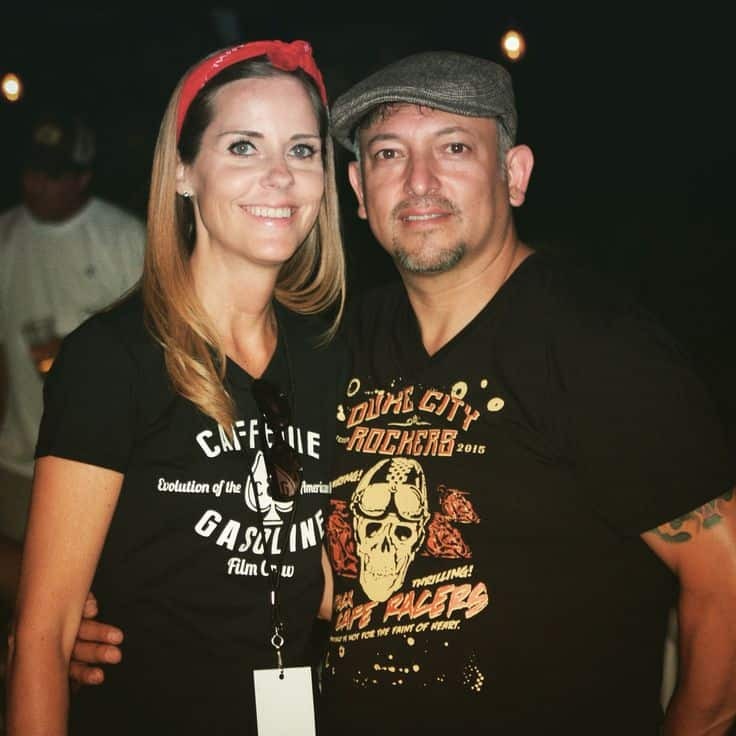 If you are reading this, it truly means that you have an interest in the Cafe Racer Lifestyle, and how ever big or small that interest is, it is great people like you that can help to make this film happen. Lets all try and help, and donate to their cause, no matter how small the contribution, I would love to see the amount grow and this movie come to a full fruition and get to see this played all over the globe. Personally I think it will be interesting, intriguing, informative and above all, it will show people around the globe “What makes us Tick”. If you can pass the word I know that Steve will be forever indebted in gratitude to you for this, as it means that you care and would like to see this project completed and ready for everybody to watch and enjoy. Also,I for one am so glad that someone is taking on the challenge and making this project happen and would be stoked if you could help with this funding. I never ask for anything but feel this sums all of us up that are into the Nostalgia side of Motorcycles, something with history and of course now making its very own History in The US of A, how cool is that? Here is the link for the gofundme page and hope you can do your best to pass it around to everyone you know, as YOU are our voice! Thanks alot and I will be watching with baited breath at the totals to get Steve to achieve his target and complete this great movie that I think will receive awesome reviews. Without help from the likes of like minded folk – Steve could not achieve the goal in the allotted time, so please help out where you can as I know I know I will. SILVER CITY — Silver City native and New Mexico Filmmaker, Steven “Fenix” Maes, known for his iconic design work on cult series Breaking Bad, is hard at work on a passion project about cafe racer motorcycles and rocker culture called Caffeine & Gasoline: Evolution of the American Rocker. The film looks back at the American-inspired 1960s British greasers and their bikes, immortalized in the classic movie Quadrophenia, and then aims the camera at today’s home-grown rockers in America and beyond. 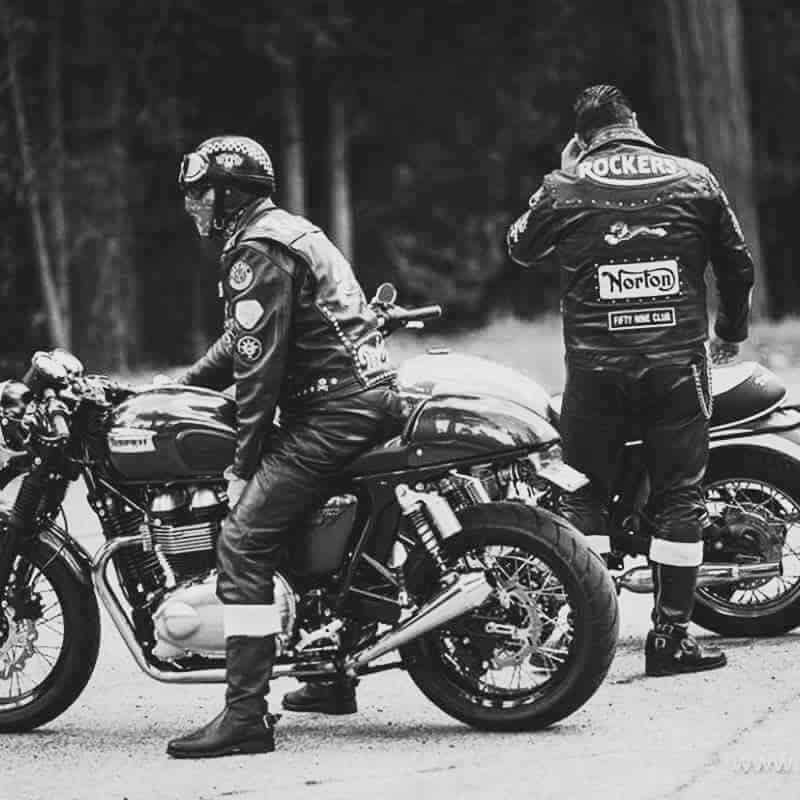 “From their earliest roots in the East Side of London to the growing vintage motorcycle enthusiasm around the world, rocker culture has made its way across the globe,” says Maes. “Motorcycle culture is always evolving, writing its own mythology and leaving tread marks across America. The rockers with their cafe bikes are a subculture within a subculture. They’re the real rebels in an increasingly conformist pastime. 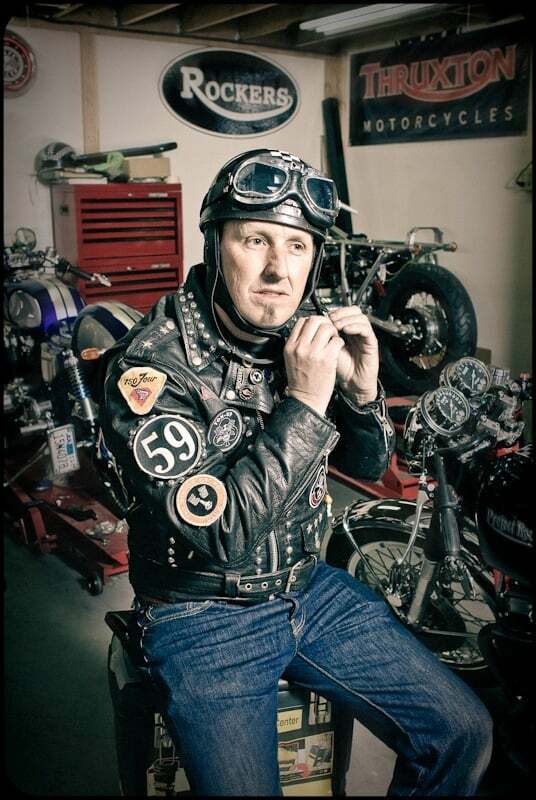 Caffeine & Gasoline talks and rides with such motorcycling icons as Antoine Predock, Albuquerque’s famed resident architect. The film features New Mexico’s only cafe club, the Duke City Rockers, whose rockabilly-styled members take viewers for a ride on their hand-built motorbikes and explain their attraction to the British iconoclasts. Maes expects to wrap filming in fall 2016, and to release the film theatrically in 2017. Good luck Steve and Hope to Ride up to Albuquerque to see you lot on my Triumph Cafe Racer. This entry was posted in Blog and tagged 59 club, ace cafe, AJS, American Rocker, Bill Shergold, bmw, brighton, BSA, cafe racer, caff, caffeine and Gasoline, carpy, classic motorcycles, do the ton, documentary, Graham Hullet jonathan oates, Honda, Leather jhacket, matchless, movie, north circular road, norton, rockers, spirit of 59, ton up, transport cafe, triumph, wild one.